Stanley Goh, who is presently working with the poor and the young in India, updates us on his journey. The problem that I faced with this is the fact that while one can almost understand that God loves us, this love seems a little abstract and can feel somewhat distant at times. Though we’re told about this love and believe it, we may yearn for something a little more – something that can bring the abstract idea of God into what we experience on a regular basis. 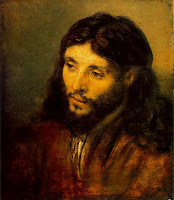 O Jesus, O why do you so weep, is not your friend but just asleep? Your laugh and smile so often seen, obscured of late, it has been. The world’s weight upon your shoulders bare, which did also a cross’ weight share. What that with our sins did place, that by the cross these sins erase. I long to week just as you do – I see my sins and hate them too. But then I find my eyes are dry; why can’t I be like you and cry? Those two words changed much for me. The re-emphasis of the humanity of Jesus, something that I often forget or overlook, allowed me a very different and much more personal relationship with Him. God becomes less of a mysterious power that is beyond what we can understand but a friend who shares our joys and disappointments all the same. It was the recognition of this humanness that allowed me to really realise that it’s possible to get to know Him as a person. The words from the song ‘What a friend we have in Jesus’ are no longer hypothetical but become real to me. I’d say that my work over here reflects God’s love in many ways. I feel blessed at being able to be here to contribute the tiny bit that I have and even more so seeing how our students have developed over the past months. Their improvement in English and marked increase in confidence is indeed heartening and I cannot help but feel that God’s hand is behind all this. Our programme is being expanded to reach out to more students, in more schools and at more levels. This development is not something that can be attributed merely to our work on the project – all through what I’ve done here, I’ve felt the that I’m not alone in the work that I do and that helps to put things into perspective.